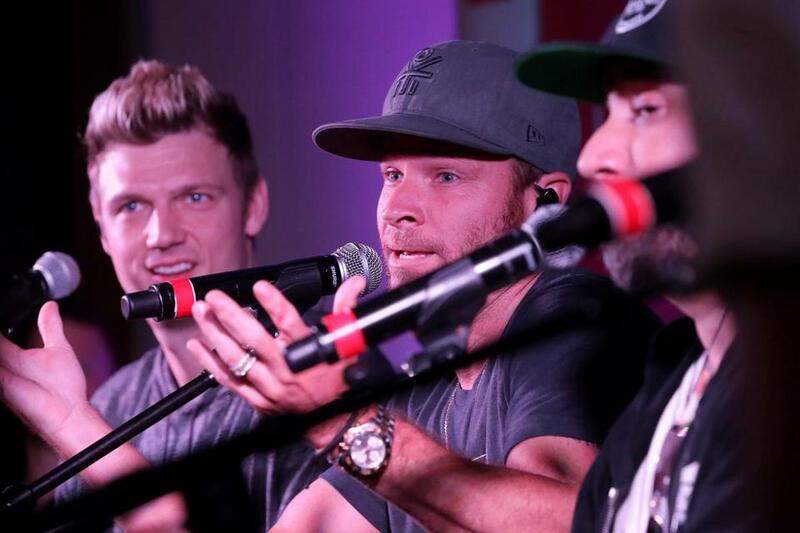 Nick Carter, Brian Littrell, and AJ McLean answered questions during a short set for Mix 104.1 listeners at the Revere Hotel on Friday. Hours before the Backstreet Boys were set to perform at Fenway Park with Florida Georgia Line and Nelly, the boy band played three songs for about 200 fans at a private show hosted by Mix 104.1 at the Revere Hotel. Listeners who won their way into the noon concert heard acoustic renditions of “As Long As You Love Me,” “I Want It That Way,” and “Get Another Boyfriend,” a track the guys said is one of their favorites to perform live, even though it wasn’t a radio single. Nick Carter, AJ McLean, Howie Dorough, Kevin Richardson, and Brian Littrell also took some questions from the audience between songs. They told fans that they were ready to play Fenway for the second time in the rain (it was pouring when the group performed at the ballpark with New Kids on the Block in 2011). Carter told the crowd that he hopes the Backstreet Boys can return to Fenway on their next tour, maybe as a headliner. BSB devotees at Friday’s event included Jessica Daniels, who wore a “Bride” tiara, and said the private event would kick off her bachelorette party festivities (she’s getting married in New Hampshire on Aug. 12). Daniels had run into some old friends on line at the Revere; joining her for the wait were Rachel Dudek and Brittany Silva, who met Daniels at a summer camp in 2002. 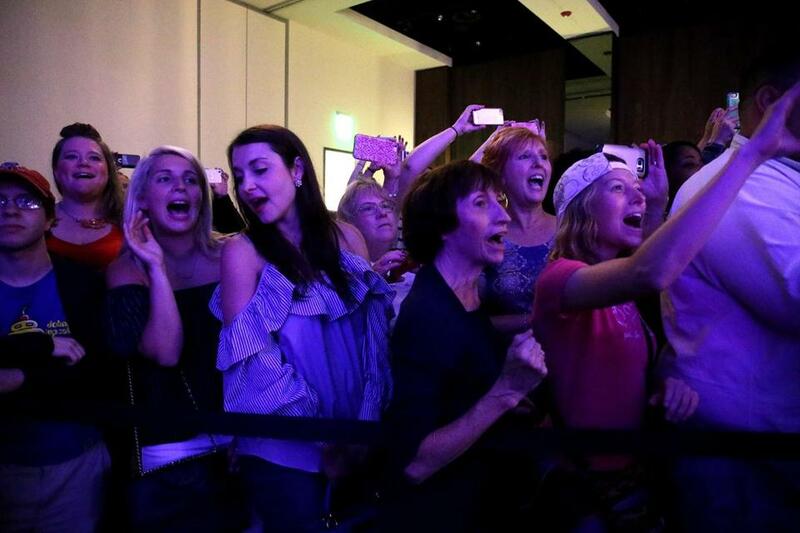 Mix 104.1 contest winners listened to the Backstreet Boys performing a short set at the Revere Hotel on Friday. 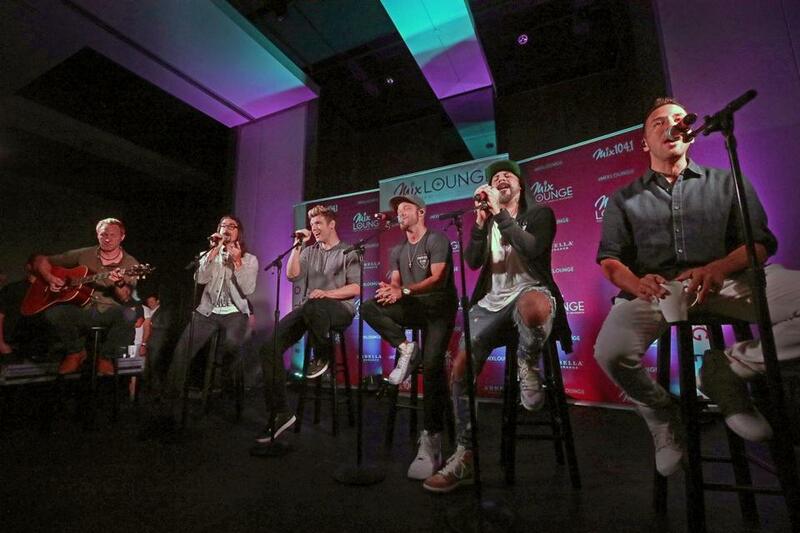 The Backstreet Boys performed at the Revere Hotel on Friday for an audience of Mix 104.1 contest winners.